Nichelle Nichols’ time as Lieutenant Uhura on Star Trek is iconic—but at this point, so is the story of how she nearly quit the series after a season. So much so, that Drunk History’s retelling of the moment Nichols met Martin Luther King Jr. manages to cover the whole thing pretty hilariously. The segment, narrated by comedian Ashley Nicole Black, aired as part of last night’s episode. 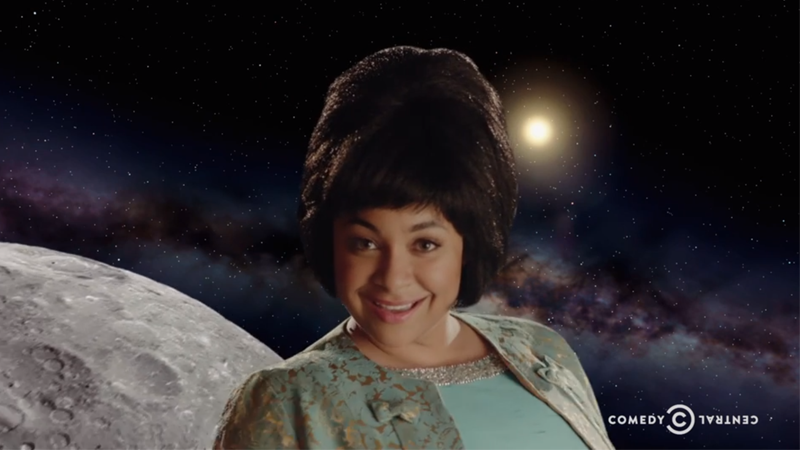 It follows the young actress (played by Raven-Symoné) as she joins Gene Roddenberry’s weird new scifi show, decides to leave it after a season, and is eventually convinced by King (Jaleel White) that her inspiring role was one worth holding on to. But it also dives into a little bit of Nichols’ history on and off her stint on Star Trek, including one of the coolest tidbits about Nichols’ life. She played an important role helping to drive recruitment for NASA in the years after Star Trek, spearheading an outreach program that brought the likes of Sally Ride, the first woman in space, and Guion Bluford, NASA’s first African-American astronaut, to the organization. Drunk History might be a bit glib about it, but it’s also a delightful celebration of one of scifi’s most iconic female stars.